Amanbir is a licensed acupuncturist based in New York City and offers a dynamic and applicable approach to the ancient lineage of Kundalni Yoga. 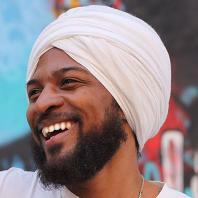 In each class Amanbir is known for bringing his warmth, sense of humor, and extensive knowledge of the healing field. Amanbir currently teaches his in-depth understanding of western physiology/eastern anatomy in various yoga and therapy trainings Worldwide. 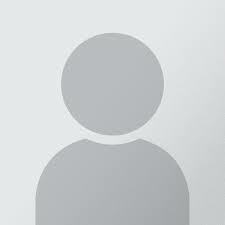 He holds a Master of Science in Traditional Oriental Medicine and a Bachelor of Science in Engineering. He is currently an Associate Level Trainer. 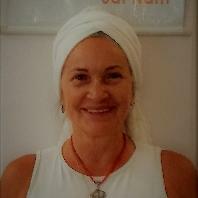 My work as a Professional Trainer comes from deep longing to share the depth and wisdom of the Kundalini Yoga tradition. I do emphasize that it is a spiritual journey, a personal process, as well as a training to become yoga instructor. I like to put the teachings into our day to day life situations and that it all comes down to how loving and compassionate we can be with our selves and each others. That it is a training to serve the world and express our soul fully. For me its really about how to be a soul incarnated as a human in the Aquarian Age. For that reason its very important for me to build group consciousness so I often bring in small partner- and group exercises to create that. As I am a musician I also bring in lots of music into the Trainings and I encourage everyone to bring out their own inner musician. Qualities people use to appreciate me for is depth, clear communication, inspiration, creative teachings, ability to creating safe environment, that I am straight forward in a hearty way. That I have a great sense of humor. I have been a teacher my entire life. In my career, I began as a riding instructor and worked for 20 years. 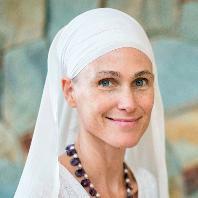 When I landed in my Level 1 training I immediately changed the subject of my teaching from horseback riding to Kundalini Yoga. To be able to spread these amazing and powerful teachings feels very important. Each and every one of us needs it more than ever today. By being a Teacher Trainer, it gives me the opportunity to do that much more than by only teaching the regular yoga classes, where there is not so much room for the whole life philosophy. This is my contribution to peace on earth and for me to do what I do best, teach! 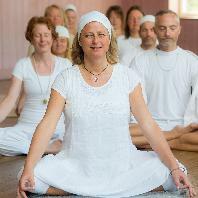 Hari Dharam started the first Kundalini yoga center in Karlstad, Sweden, in 2004, which now is a yoga center consisting of six yoga teachers. As a KRI Associate Teacher Trainer she organizes workshops and Teacher Trainings both Level 1 and Level 2. She is a prenatal yoga teacher and also holds postnatal classes since 2005. 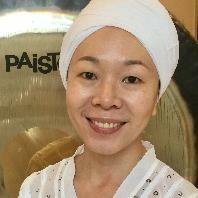 She is a gong therapist since 2009 with Don Conreaux as mentor. She also gives tactile massage a very soft massage to stimulate the nervous system to calm down. 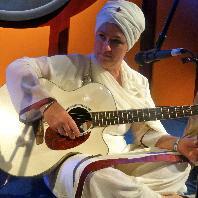 She likes singing mantras, being out in the nature and spending time with her family. 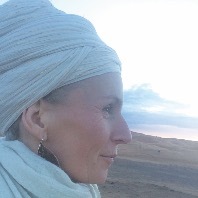 She has also trained people to become instructors in the Swedish "MediYoga" for some years. I run a yoga center on the west cost of Sweden called Mangalam. I organize and teach at a level one training that we run here associated with I –Sky. I have specialized in yogic psychology based on then wisdom of the energy body and Vedanta. 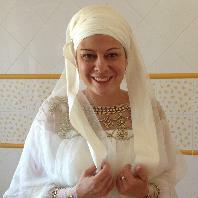 I teach special workshops for women how want to reclaim there energy field. You can find more about current events at www.mangalam.se and will reach me at 46761456913. Deep freedom comes from within. Licensed PT and lympho-therapist. 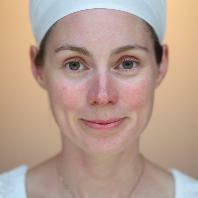 Special interest in teachings for women, yogic cooking.Teaching in Sweden, at Yoga Festival. Fluent in English, Norwegian, Danish. 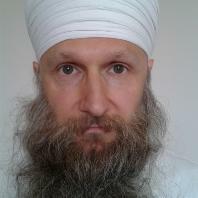 Lived 8 yrs in 3HO-ashrams in Denmark, Norway, and in the US. 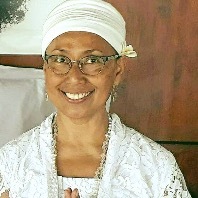 Born and raised in Bali, Indonesia but spent some of my adult life in Toronto, I am an inter-disciplinary teacher with 30+ years of teaching experiences, having taught in the public system in Indonesia and Canada. 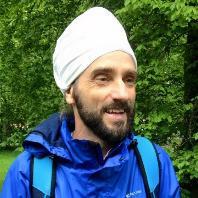 I have been practising Kundalini Yoga for 20 years, teaching for 10 years. 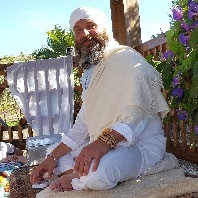 In 2010, I started to facilitate a 200-hour Yoga Teacher Training program in Bali & Level 1 Kundalini YTT in Toronto, under the mentorship of Sat Dharam Kaur ND. Other than being a teacher, I am a Holistic Health Practitioner, Lifestyle Coach, Doula and Reiki Master. I am passionate about empowering others to make life affirming choices and inspiring them to find their own gateways to wholeness. 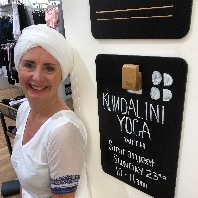 In April 2015, I moved back to Bali to spread the teachings of Kundalini Yoga. 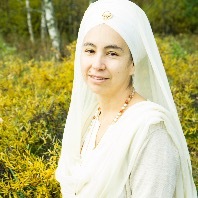 Dr. Haridass Kaur Khalsa PhD helped reinstate my status with the Academy in 2017. 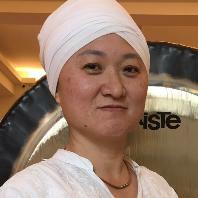 I teach weekly classes, lead Full Moon & Adi Shakti meditations monthly, Summer & Winter Solstice Sadhana, and organize Aquarian sadhana rotation. I am grateful for the guidance of teachers from many traditions and honoured for the opportunity to serve others. 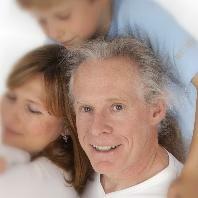 I am a holder of Yoga Alliance E-RYT500, RPYT, RCYT and Continuing Education Provider. 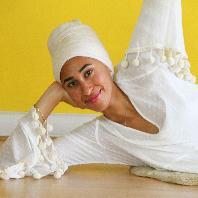 Shama is the first Egyptian Aquarian Yoga Trainer teaching Kundalini Yoga as taught by Yogi Bhajan. 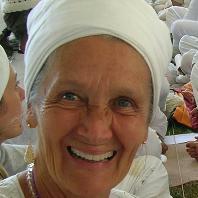 She received her training from the Kundalini Research Institute in New Mexico in 2012. 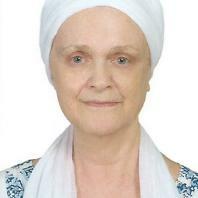 Ever since, she has been teaching Kundalini Yoga programs, workshops, leading retreats in Egypt. 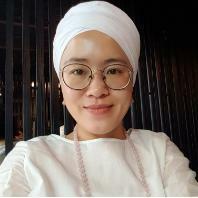 She has more than 1000 hours of teaching, has organised three International Kundalini Yoga Teacher Trainings and works on a one to one basis with individuals to bring out their true potential. 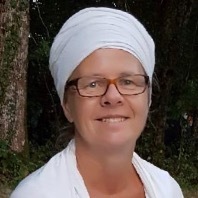 She has completed further training in Kundalini Yoga in variety of core topics including mind and meditation, women and youth empowerment, stress and vitality, authentic relationships, conscious communication and lifestyles and lifestyles. Shama is a social entrepreneur who founded the first a yoga educational and training center in Egypt called YallaYoga. She is vegan and is passionate about empowering women and youth through conscious conversations. 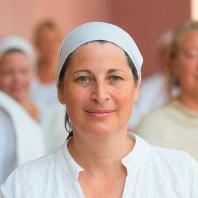 Charlotte is a certified Kundalini yoga and meditation teacher, also Professional Teacher Trainer. She currently teaches in Sweden, Norway and Denmark. 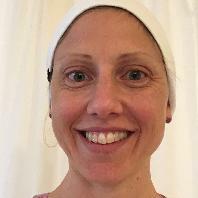 She started with yoga in 1998 and has been teaching since 2002. Special interest is yoga for women of all ages, pre-natal yoga, yoga for seniors and health food. She started with being a civil engineer, working with transports. Nowadays she prefers working with support for human development and finds it fascinating to see people grow with yoga. She has a husband and two daughters. Charlotte is a warm and dedicated teacher, she makes it fun to do yoga. 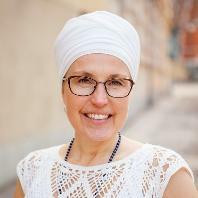 She is the organizer of teacher trainings in Stockholm and Oslo, working with the great teachers of Sada Sat Singh and Sada Sat Kaur. Welcome to share the world of yoga!